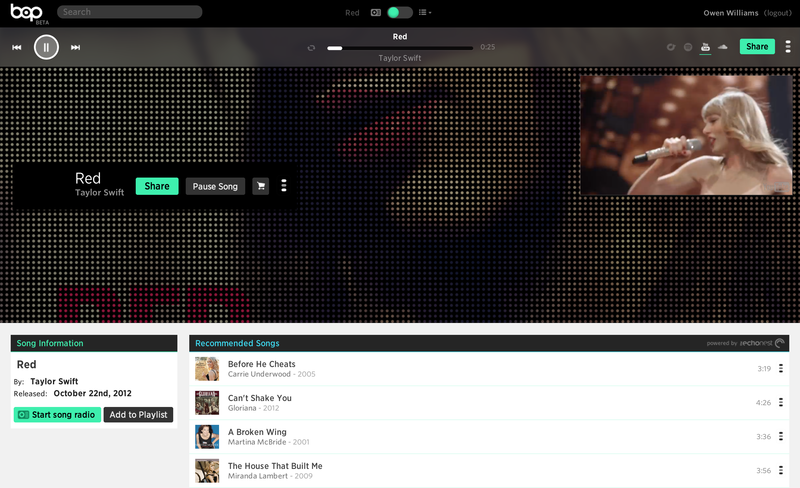 New startup, Bop.fm is aiming to help bring together the music silos from across the web and making music easy to share with friends again. The premise is simple: Bop doesn’t actually host any music but it aggregates across music sources such as Spotify, Rdio, Soundcloud and YouTube so that the song is consistently available regardless of what music services are available where the listener lives. It also puts purchase links inline to make it dead simple to buy once you’ve listened. Those who live outside of the US have become accustomed to seeing errors when attempting to listen to music online such as the infamous “this is not available in your location.” Bop aims to help stop that from happening by automatically detecting which services are available and simply playing the music without giving an error. The service also lets publishers simply embed or link to tracks on their website for playback by audiences around the world, something that’s previously been difficult with services that require subscriptions like Rdio and Spotify. Bop is free to use and embed, making it great for quickly sharing a track with a friend or on a blog with little hassle.